Adam Lambert in Montreal or Quebec City? Inform me about the next events for Adam Lambert. Enroll yourself to our priority waiting list for Adam Lambert to be alerted when new tickets are available. Filling this form doesn't engage you to any purchase. Adam Lambert is coming to the International de Montgolfières de Saint-Jean-sur-Richelieu (hot air baloon festival) on August 14th, 2010. Finalist for American Idol in 2009, Adam Lambert stirred a lot of controversy since launching his solo career, mainly due to his outspoken personnality and flamboyant (homo)sexuality. 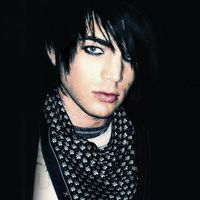 Adam Lambert released his first solo record in November of 2009. Entitled For Your Entertainment, the record sold over 200 000 copies in the States in the first week alone, and reached platinum status here in Canada.